I hope everyone had a wonderful holiday! I'm writing to you from my aunt's house in Virginia, which has this gorgeous view of a lake (shown above). If only we were south enough to take their deck boat out again! I also got to see my 2 year old cousin who is cuter than ever. This Christmas was simpler than usual, but still a lovely time spent with family. I'd love to hear how you spent your holiday! 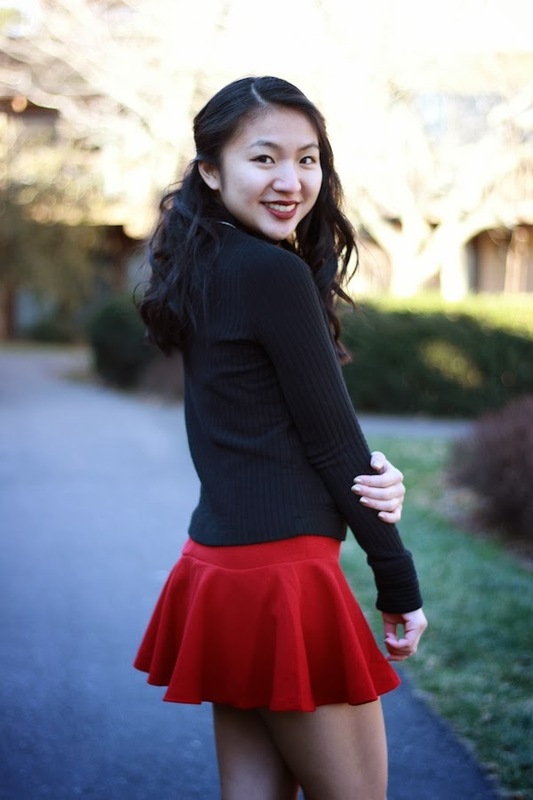 This year I decided to wear one of my favorite new mini skirts in a bright Christmas red. After seeing Aimee Song rock so many of these, I just had to try one out for myself! P.S. - Click the photo below for the link to the exact skirt I am wearing. 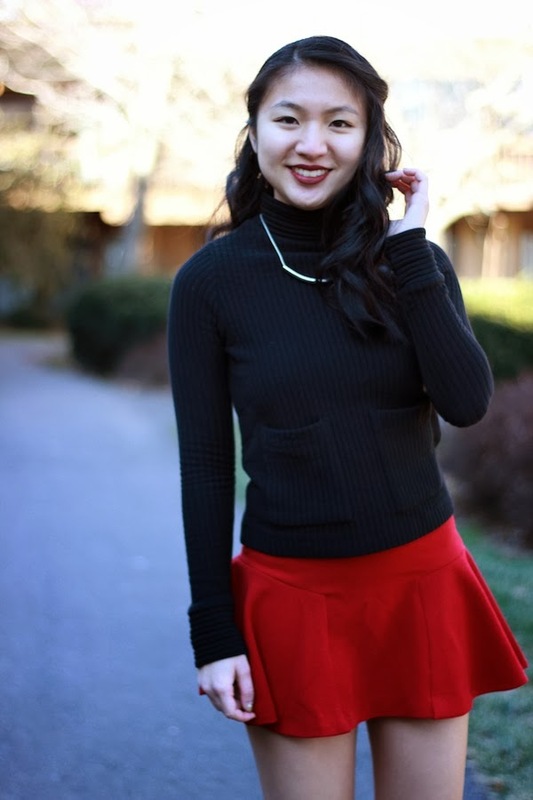 This Zara turtleneck top is also a closet favorite. I love the subtle ribbed detail that gives it texture and of course, the pockets. They make the top more interesting than your average turtleneck. I spent Christmas with just a small part of my family, so I wanted to dress up without getting too glitzy. Thus, this outfit was my way of looking chic as a holiday homebody. Now that Christmas is over, it's time to start planning my New Year's Eve look! Any suggestions/ideas? Let me know! Talk to you soon! Love your heels and skirt! The sweater is so unique with the two pockets <3 Happy Holidays love :) For new years, something fancy and classy? I think you will look gorgeous in black and gold! So festive and adorable! I need those heels. Can't believe they are Forever! Oh my God. I need to tell you that this outfit is fabulous and I absolutely love it. I'll definitely keep this in mind as a peg the next time I go shopping. Brilliant! I hope such an outfit fits for Surfing Life. You look amazing in it!